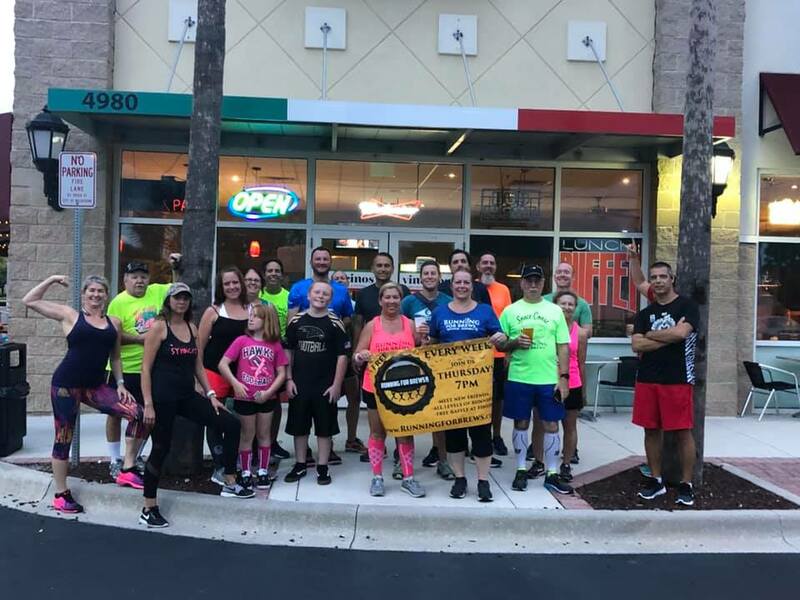 Join us Monday night at Vincinos Ristorante & Pizzeria at 7pm for a free 5K run/walk. Invite EVERYONE! Invite your friends and family to join in the fun and stick around for some good food and great conversation. If you are wanting some dessert Chilly Spoons Frozen Yogurt Store Melbourne is at the other end of the plaza so stop on by for a frozen treat. All level of runners, walkers, and bikers are welcome. Chose a 1 mile, 2 mile, or 3.1 mile course. We want all runners/walkers to stay safe on the sidewalks..
*Flashlights during the DARK season! Thanks to many of our runners that have donated in the past or local businesses! We all LOVE TO WIN, but when it feels good to GIVE please come drop something off with the coordinators!! Six pack beers, Free promotional swag, gift cards, coupons and much more is very appreciated. Unlimited ideas to what can be donated!